On March 23, two Russian military aircrafts arrived at the Michael Bolivar International Airport in Makati, on the outskirts of Caracas. According to reports, about 100 Russian officers and men were led by Vasily Tongkoshkurov, director of the mobilization bureau of the Russian General Staff. The purpose of this trip was to unload 35 tons of equipment at the airport in Russia in order to fulfill the military agreement between the two countries. During Putin’s dispatch to Venezuela, the United States also carried out a series of military actions, and the US-Russia relationship appeared to be increasingly tense. The star-spangled banner exemplified the sudden dispatch of the US Army infantry battalion from Texas to Poland in mid-March. Such steps are reminiscent of the Cold War era, and mobilizing troops without prior notice to the US unit is a major feature of the Soviet strategy. Let’s go to see the strength of US Air force military through the following 4 Air Force Challenge Coins. As everyone knows, The United States currently has the most powerful air force in the world. Moreover, the types of fighters are very plentiful. Not only fighter aircrafts and bombers, early warning aircraft, reconnaissance aircraft, transport aircraft and other auxiliary models are also widely used. These models form effective mutual support and build a powerful combat and defense network systems. 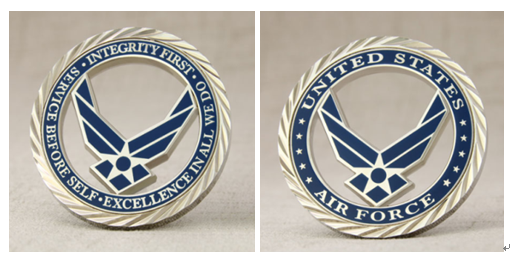 The following USAF custom challenge coins processed with cut out craft and Oblique Line Edge. The texture looks pretty stable. The symbol of The United States Air Force is kept in this beautiful and solid form in any occasions. 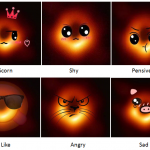 Let’s take a browse of other three fighter coins and their features. These three fighters are all associated with eagle, to some extent, they possess some apparent bionics feature of eagle. The first one is F-22 Raptor. The main advantage of this fighter is equipped with sophisticated electronic systems and weapon systems. In the US Air Force’s global strike strategy, the Air Force will first use the stealth advantage of the F-22 to suppress the enemy ground air defense systems. F-22 Raptor Military Coins are polished with antique copper in the low-key style. The one side engraved with the appearance of F-22 fighter which seems like concealed the contour in the coin. This signifies the characteristic that it can avoid the enemy’s radar and attack them in the sudden. Another side shows the US air force emblem. RS-71 stands for Reconnaissance-Strike. SR-71 Blackbird is a jet-type long-range high-speed strategic reconnaissance aircraft used by the US Air Force. SR-71 Air Force Challenge Coins are polished with gold finish in the bright tone. The SR-71 strategic reconnaissance aircraft has never been shot down in actual combat records. This is mainly because it can fly at high altitudes at 2800-3200 km/h. This super high speed is just coincides with the shining appearance of these custom air force coins. F-117 Nighthawk is a stealth combat attack aircraft of the US Air Force, and the world’s first aircraft designed entirely in stealth technology. Designed and produced by Lockheed, the F-117 is based directly on the Have Blue program. The Skunk Works is the officially recognized nickname of Lockheed Martin’s Advanced Development Programs. These three aircrafts are all developed by this program. The F-117 Nighthawk Aircraft Coins are designed in the neutral and restrained style and plated with antique gold finish. All these three aircrafts were retired in the last century. However, They are kept in a solid form in these delicate challenge coins. If you are big fan of military, if you are interested in collecting these coins, GS-JJ must be your first choice. 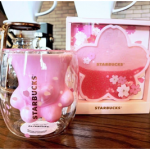 ← Why Starbucks Cat Paw Cup is So Popular?